CDW received a Cisco® Partner Summit Global award, recognized as Architectural Excellence Partner of the Year: Security. Cisco announced its partner award winners on Nov. 13 at a Global Awards reception during its annual partner conference in Las Vegas. Awarded to channel partners who rise to business challenges, the Cisco Partner Summit Global awards are designed to recognize superior business practices and reward best-in-class methodologies. Areas of consideration include innovative processes, architecture-led successes, strategic business outcome-focused programs, seizing new opportunities and sales approaches. Earlier this year, CDW also won the Cisco Collaboration Partner of the Year, U.S. Award. 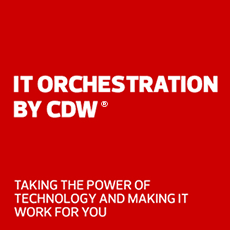 Visit our website to learn more about CDW’s complete portfolio of IT solutions and services.